Today Astronaut Tim Peake revealed that the new UK-made rover headed for Mars in 2020 will bear the name of British scientist Rosalind Franklin following a public call that received almost 36,000 responses. The rover is expected to reach the Red Planet in 2021 where it will begin its Martian mission. Equipped with “next generation instruments”, the six-wheeled vehicle will roam the plant’s surface in search of past and present life. 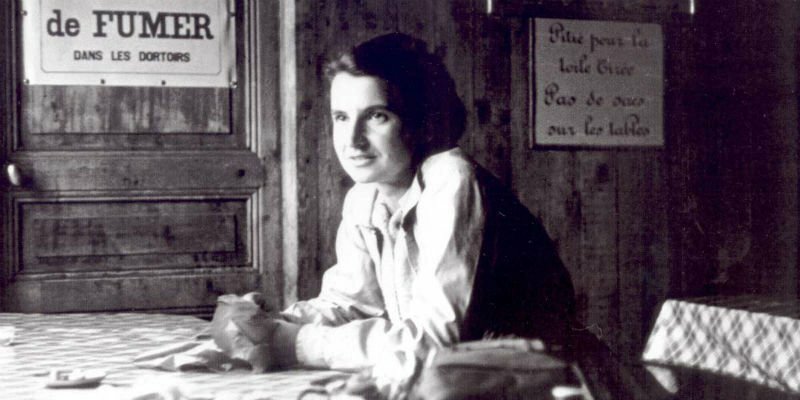 Rosalind Franklin was a talented scientist and expert crystallographer whose work led to the discovery of DNA – a chemical containing within its double-helix structure all the information a living organism needs to grow and flourish. It’s therefore no wonder that the new rover, in its quest to discover life on Mars, is named in honour of the woman who gave us the key to understand life here on Earth. Speaking on the announcement, Franklin’s sister, Jenifer Glynn said, "In the last year of Rosalind's life, I remember visiting her in hospital on the day when she was excited by the news of the [Soviet Sputnik satellite] - the very beginning of space exploration. She could never have imagined that over 60 years later there would be a rover sent to Mars bearing her name, but somehow that makes this project even more special." In 1952, Franklin and her PhD student Raymond Gosling captured ‘Photograph 51’ – arguably now the most famous X-ray in the world. It allowed fellow scientists James Watson and Francis Crick to make their breakthrough discovery that revealed the double-helix shape of DNA for the first time. Watson and Crick went on to publish their discovery in Nature Magazine and were later awarded a Nobel Prize for their work. Despite the fact Franklin’s photograph provided the vital clue the pair needed to make their discovery, she was never recognised by the scientific community. Franklin sadly died of ovarian cancer aged just 37. The significance of her work is now widely acknowledged. Today’s news has seen numerous comments from people recognising the decision to name the rover, a symbol of endeavour and discovery, as a well-deserved tribute. Last year we teamed up with Ovacome, Target Ovarian Cancer and The Eve Appeal and appealed to the public to vote for Rosalind Franklin to be the new face of Britain’s £50. The decision is yet to be announced. The Bank of England has asked the public to nominate a scientist to be the new face of Britain’s £50 note. We’ve teamed up with Ovacome, Ovarian Cancer Action, Target Ovarian Cancer and The Eve Appeal to rally votes for the scientist Rosalind Franklin. Why is ovarian cancer research our priority?